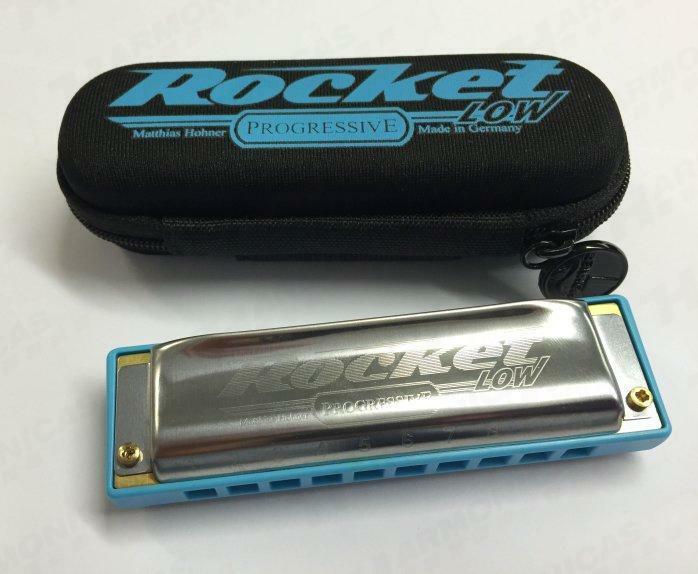 The Hohner Rocket low harmonica is an expansion on the the extremely successful Hohner Rocket line, which was a breakthrough in diatonic mouth organ design and claims to be the loudest in its range. The ergonomically designed comb has rounded sides and edges for wonderful comfort. Wide open cover plates and channel design enhance projection to ensure maximum loudness. The Rocket allows players to express a powerful, dynamic sound. Discover the world of low tunings with one of the world‘s loudest and most comfortable harmonica models.